FAQ about Penn Apartment Staffing like other staffing companies. Ask away, the answers are here. No, Penn Apartment Staffing services are FREE to all job seekers. Like other staffing companies, Penn Apartment Staffing pays on a weekly basis. Our work week is Monday through Sunday. Timesheets are due on Friday, but no later than Monday by 10:00AM. You may choose to pick up your check the following Friday or have direct deposit. The first paycheck will always be a live check. Yes, we do have some online training courses you may register for. How often should I call in? We recommend calling in on a weekly basis to inform the staffing managers your availability. If you find work elsewhere, please contact a staffing manager at your earliest convenience. How many hours do I need to complete before I can go permanent? A typical assignment will be 200 hours. Penn Apartment Staffing services Dallas / Fort Worth and Houston like other staffing companies. We will try our best to find you a property to work at in your preferred location. Please call your staffing manager immediately. We strive at finding you a great position that makes you happy. 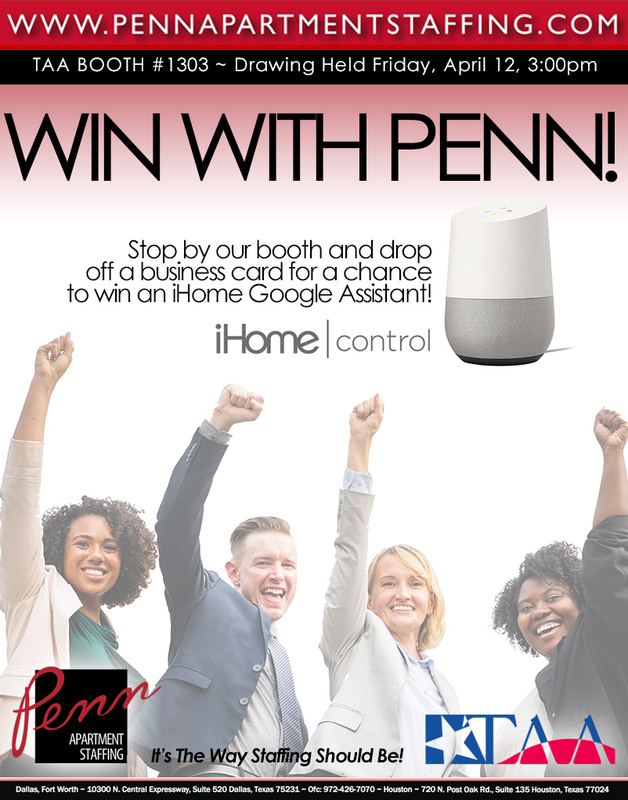 When was Penn Apartment Staffing founded? Owner, Rick Penn previously owned BG Personnel which was founded in 1987 and sold in 2010. Penn Apartment Staffing started in July 2015.